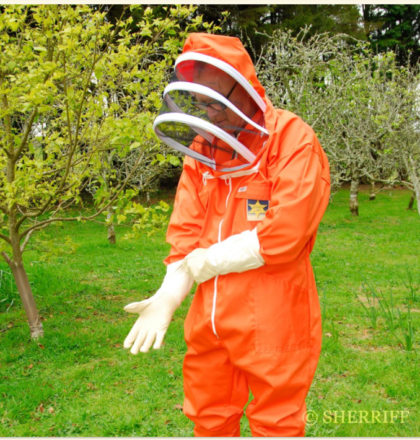 Another addition to our lineup of unique products, these B J Sherriff products are world renowned to be the best available. 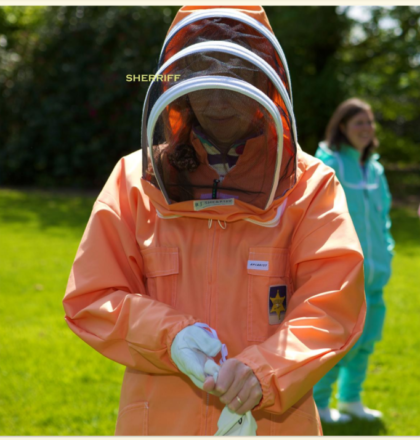 Full suits, jackets, smocks and veils are available in a range of colours. 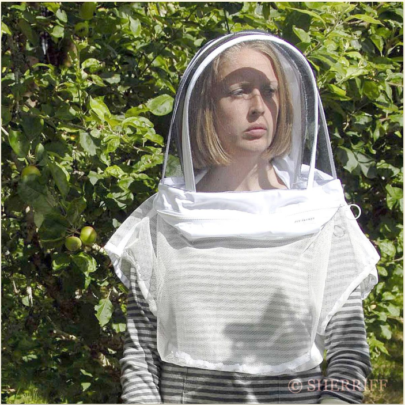 They are manufactured from a tight weave polycotton with a smooth finish which makes it difficult for the bees to sting through. 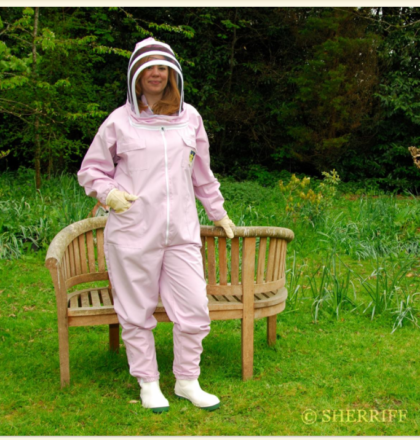 B. J. Sherriff’s clothing is long lasting (they claim an average life of 15 years) and the zips are guaranteed for 5 years. 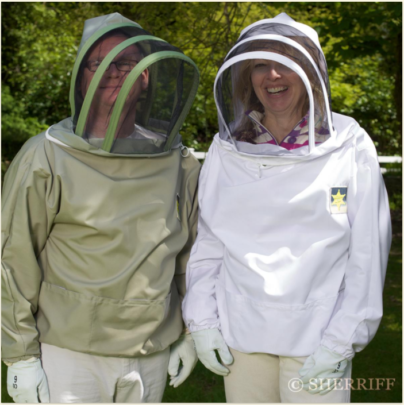 We stock the Apiarist full beesuit. 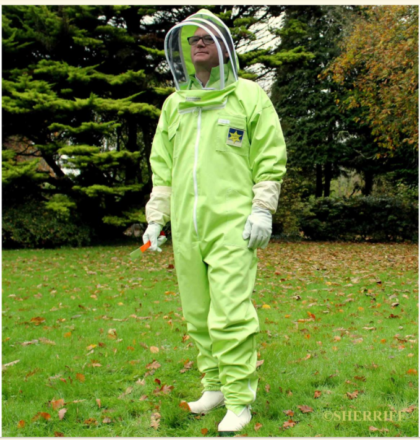 (pictured above) in a range of colours. White,Mocha, and Khaki are the most popular colours. 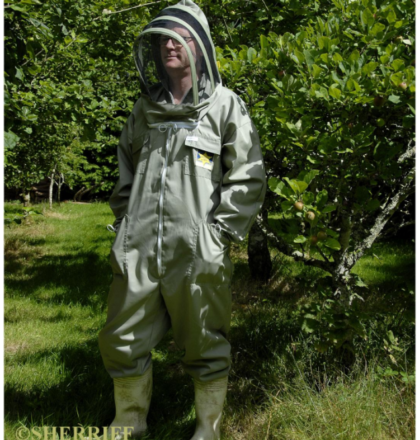 The khaki suit is specially produced for those working in Kiwifruit orchards at night as the bees seem to take less notice of them than traditional white suits. Handy Hood. 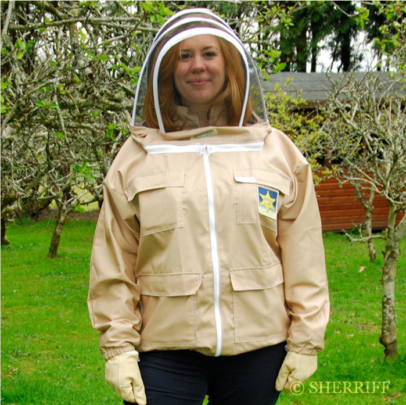 This is a self supporting beekeepers hood that can be worn with standard clothing. We are able to indent all their other products from UK and delivery is usually only 7 – 10 days.